Compatabile with the Swing, Mini Electric and Harmony Breast Pump. ESSENTIAL TO KEEP A SPARE FOR YOUR PUMP. FAST SHIPPING! 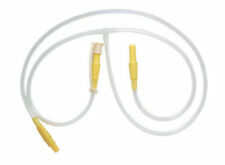 Swing Maxi breast pump double tubing. Color:as picture show. We will do our best to solve your problem. Medela PersonalFit Breast Shields (M) medium 24mm Pair, brand new. One is New, the other has been used once. Dispatched with Royal Mail 2nd Class. 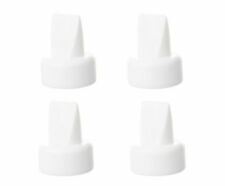 Medela Breast Pump Accessories Spares: Valves and Membranes - new. Condition is New. Never opened. Over ordered when breastfeeding. Dispatched with Royal Mail 2nd Class. Medela Personal Fit 2 X Breast Shields SMALL 21mm. Condition is Used. Dispatched with Royal Mail 2nd Class. We are the UK distributors for a number of leading manufacturers in these fields. Disposable Gloves. Ultrasound Gel. Maternity Pillows. Baby Breathing Monitors. Baby Sunglasses. Breast Pads. Breast Pump Parts. New - never used but puchased approx 1 year ago for use with rental breast pump. 1x PIPE ONLY - PUMP OR CONNECTORS NOT INCLUDED. Special anti kink anti blockage pipe. connectors not included - pipe only. Easy to fit yourself, simply place end in hot water and slip onto your existing connectors. Medela PersonalFit Breast Shield x1 - Medium 24 mm. I bought replacement parts for my second baby and only used one breast shield so this one is new and unused in the original box. It is no longer in a sealed bag as I opened it to remove the other shield. Compatible with the reusable Medela pumpsets Symphony, Lactina, and Basic Kit and Medela breast pumps Swing Maxi, Swing, Freestyle, Harmony, Mini Electric and Base. Happy to combine postage where possible with my other baby listings. From a pet free and smoke free home. PLEASE NOTE THIS LISTING IS FOR ONE BREAST SHIELD ONLY. Avent Double Breat Pump. Condition is Used. Used only for 4 times as I have been using the mendela portable pump. Still in good condition. 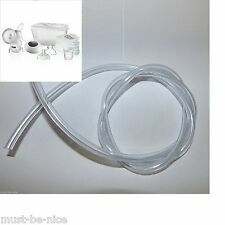 This is for 1 brand new double tubing connector that can be used for purely yours Ameda Lacteline breast pump for both single or double pumping. Everything is very clean and hygienic. Taken very good care of. Any suggestions or questions, feel free to ask. I am selling other spare parts for Ameda Lacteline electric breast pump so check out my other listings. I will post it first class so it may get to you the next day if you're lucky and I will try my very best to do same (working) day dispatch, if not, I will surely dispatch it the next day. If you want more than one, just increase quantity or add more to basket before checking out. Please don't forget to give me 5 stars and positive feedback if you are happy then I will do the same. Quantity 1 Kit. - XXL (36 mm). - XL (30 mm). - X (27 mm). - M (24 mm). - S (21 mm). 57000/10/14/20/24/40/92. Use w/ #9207010. Kit #67061. Part Number 67061. - Breast shield Bodies - 2 each. - Breast Milk Storage Guidelines. Model Spare Parts Kit - Freestyle breast pump. Model/ Style FreeStyle. Product Spare Parts Kit. Quantity 1 Set Kit. Product Dual HygieniKit Milk Collection System. Part Number 17155. - Features a patented silicone diaphragm that acts as a two-way barrier between the pump/ tubing and the collection bottle. - Silicone Diaphragm x2. Medela Harmony Manual Hand Pump Handle, Diaphragm And 2 Spare O Rings. Condition is Used. Dispatched with Royal Mail 2nd Class. It has multiple components and two sizes are provided. Monitor your baby's feeding patterns and log their progress on our custom app. Product Details. Medela Bottle Stand, Bottle Holder. Condition is New. Dispatched with Royal Mail 2nd Class. Flanges - used. Breast pads - new. Valves - used. Breast Pump Parts. Breast Pads. This set includes • All parts BPA Free. Couch Roll. We are the UK distributors for a number of leading manufacturers in these fields. Faulty Goods. Disposable Gloves. We go above and beyond to ensure you receive the best level of service. Compatabile with the Swing, Mini Electric and Harmony Breast Pump. Dishwasher safe No. Batteries required No. Target gender Unisex. Part or Spare. You will get 1 piece. Comfortable and convenient pumping for every breast shape. We make buying online as simple as it can be. Medela Personal Fit 2 X Breast Shields LARGE 27mm. Condition is New. Dispatched with Royal Mail 2nd Class.